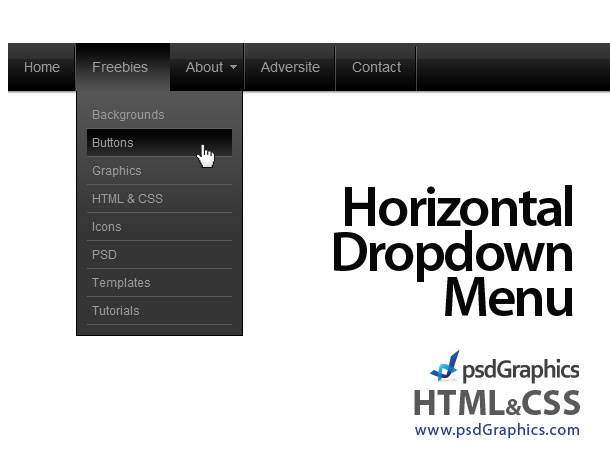 Simple and modern looking black menu template, horizontal dropdown web navigation. I will make and share more color skins in one of next posts. 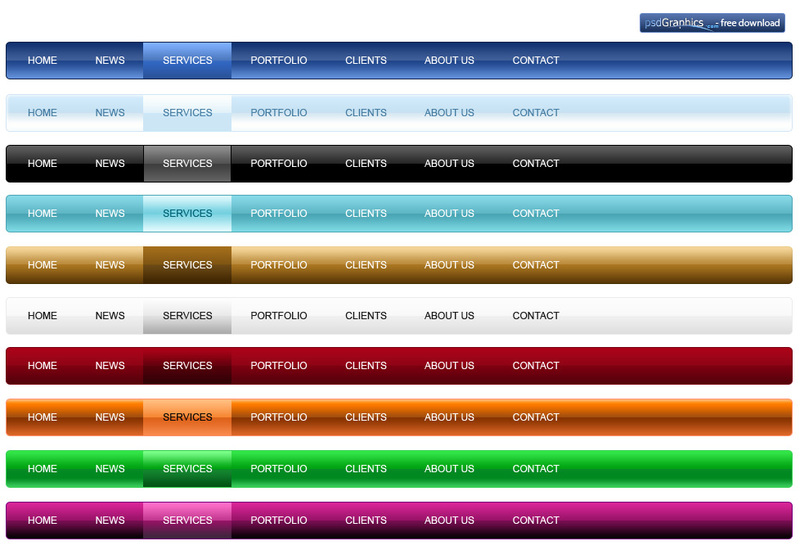 Customizable width size, current width of the menu is 950px (to change it edit 5th row in CSS file). If you have an average CSS knowledge, it will be easy to understand and update any detail in CSS code. 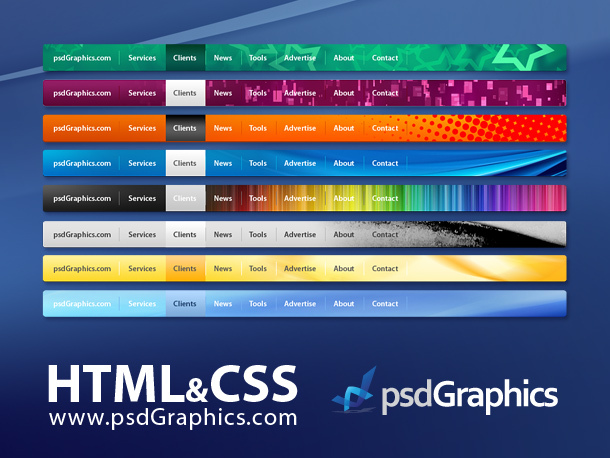 Check also two more web navigations in PSD format – website navigation menus set and horizontal HTML & CSS navigation. 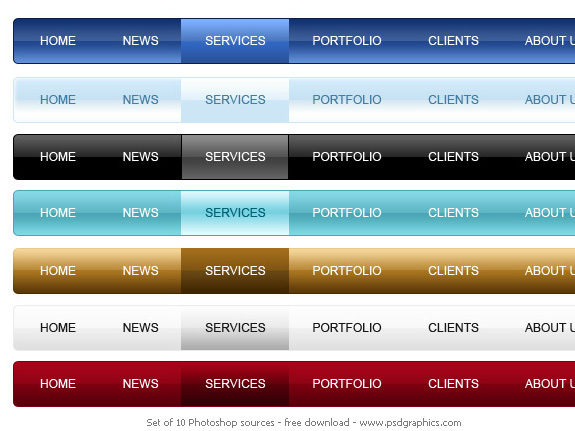 Web menu in various color themes (black, blue, red, yellow, orange, green, white), in abstract and grunge styles. Eight unique designs made with my abstract backgrounds. Simple navigation templates for blogs and websites are available in an editable PSD format, and as finished products in HTML and CSS format. 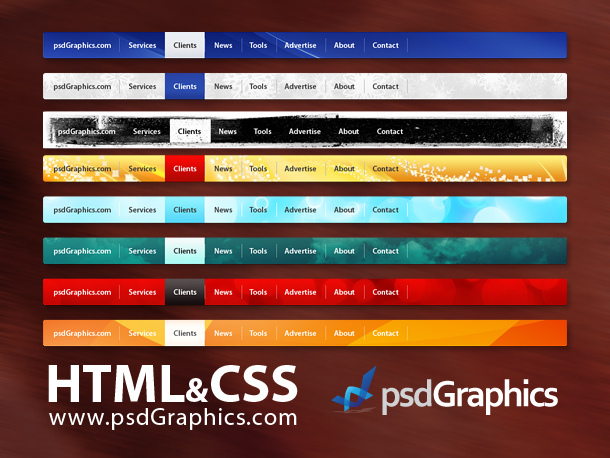 For one more menus set follow Horizontal HTML & CSS navigation link.